Rural Depressed Welfare Association (RDWA) was formed by like minded youth in the year 1987 for the development of rural depressed people irrespective caste, creed and religion with a special focus on Women and Children.During the past 28 years, RDWA have been serving the people with reference to changing social scenario and aspirations of our target people. Education to 625 school drop outs under the non-formal education system to the rural youth. Distributed educational materials to 150 rural school students. Anti domestic violence act awareness to more than 80000 women. Skill training to the tsunami affected youth in the trades of Tailoring, Two Wheeler Mechanism and Welding. Relief services on the occasions of both natural and man made disasters. Other awareness programs regarding health, Education, environment and rights. RDWA is a volunteer based organization and this helps us to reduce expenditure on administration. It also gives them the flexibility to engage the services of the specialists with minimal operational expenditure. 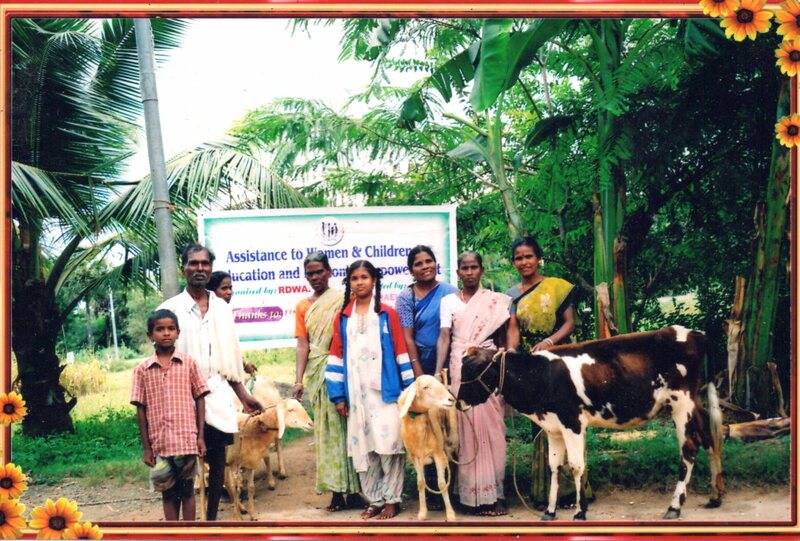 In the village of Thalayampallam of Tiruvannamalai Dist, Tamil Nadu, RDWA provided milch animal to the family of Indira Kannan. The family was very poor and was not able to afford 2 square meals a day. With the provision of this animal (which was lactating) they were able to earn from the day 1. Now they have five cows and four goats and 10 chicken. They are sending their children to school. The family now have savings of around Rs.50000/-. In the year 2004 tsunami struck the coast line of Tamil Nadu. RDWA provided training for the 75 youths of Othiyur village, Marakkanam Taluk, Kancheepuram District, Tamil Nadu in the fields of Tailoring, Two wheeler mechanism and Welding. Of these trainees one Ms.Selvi have lost all her relatives in the Tsunami. 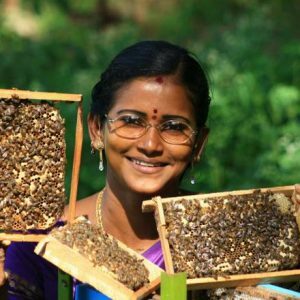 She has dropped out from the school education even before the tsunami struck. She was trained in Tailoring and she got a job in Garment Making Company and now she is head of lingerie making unit with some 30 women are working under her. RDWA has 21 general body members who meet atleast once in a year to elect the executive committee members, ratify the previous year expenditure and pass some relevant resolutions. The executive committee consists of 7 members elected from General Body members and they are President, Vice President, Secretary, Joint Secretary, Treasurer and two Executive Committee members. The President presides over all the Executive Committee meetings and in the absence of President the Vice President presides over the meetings. The secretary is responsible for day to day activities including the implementation of programs. The Joint Secretary assists the Secretary in the implementation of programs. The Treasurer keeps the financial books and the joint signatory with the secretary for the with drawal of funds. The two Executive committee members assist all other members in the implementation of programs and also help Treasurer in book keeping. No remuneration paid to the Executive Committee members, however if one of them is appointed as Project Coordinator for any sponsored programs he/she is eligible to be paid remuneration as per the approved budget.